One of the world’s largest companies — Apple (NASDAQ:AAPL) — with one of the biggest net cash balances ever — $122 billion — continues to promise that it will be “net cash neutral” over time. That means AAPL still has $122 billion to deploy to buybacks, dividends, acquisitions, investments, so on and so forth. At this point in time, it seems the smartest path forward would be for Apple to use that $122 billion on a big-time acquisition. Recent quarterly numbers underscore that peak iPhone is here. While the company has nice growth initiatives through new hardware like the Apple Watch and services businesses like Apple Pay and the App Store, none of those new initiatives are groundbreaking enough to fully replace what will soon be a flat iPhone business. Thus, Apple can either be a tepid growth business forever going forward, or the company can recharge growth by using its huge net cash balance to acquire a hyper-growth company. The second option sounds far more attractive, and should be the route that optimizes long-term gains for Apple stock. The list of companies Apple could buy is long. The company has enough net cash to essentially acquire any company in the world. But, the list of companies Apple should buy is short. Indeed, I think it as short as seven companies. Thus, let’s take a look at seven companies that Apple should buy as it aims to be net cash neutral over the next few years. The most obvious M&A use of Apple’s huge net cash balance is an all-in acquisition of streaming giant Netflix (NASDAQ:NFLX). No one can really deny the momentum that Netflix has by simply being the brand name in the streaming market. Nor can they deny the huge potential of that market, as the world increasingly cuts the cord and pivots to streaming, or the competitive moat that Netflix has established through quality and diverse original content. Because of these three factors, Netflix promises to be a big growth company for a lot longer. Apple could use that growth. As the hardware business dries up, the company is doubling down on the software business, and that reportedly includes a big dive into streaming and original content. Netflix would give Apple a head-and-shoulders leader in that market. Apple can also afford that growth. Netflix is a $150 billion company. Some cash and some debt could easily fund this acquisition. Overall, Netflix is a highly attractive target for Apple as the latter pivots toward creating software services to monetize the install base. 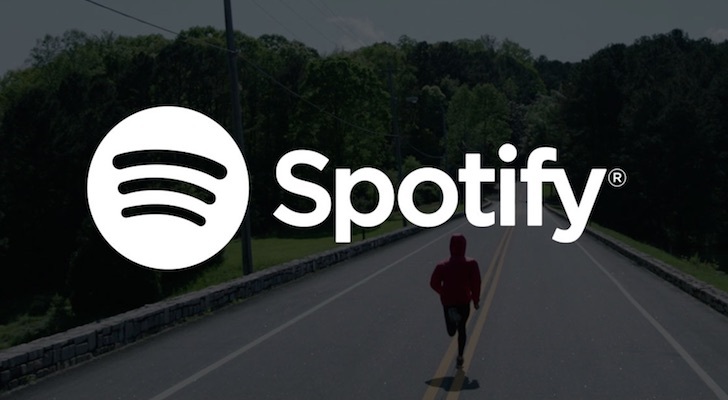 If Netflix is a “reach for the stars” acquisition, then Spotify (NYSE:SPOT) is a much more grounded acquisition target with still promising upside potential. Spotify is trying to do in the streaming music market what Netflix did in the streaming video market. Granted, there’s no original content, so the moat is much smaller. Also, Apple Music is a thing, and it has already dethroned Spotify in the U.S., Canada and Japan. Thus, this acquisition doesn’t provide as much firepower or unique assets as a Netflix acquisition. But, it’s also much cheaper, at just $20 billion. It would also give Apple complete control over the streaming music market, a position that AAPL could use to its advantage down the road through exclusivity agreements and price hikes. Plus, as mentioned earlier, Apple is pivoting big time into the software side of its business. Spotify fits right into that wheelhouse. Overall, Spotify is a good acquisition target for Apple because the latter needs mobile software growth to offset plateauing hardware growth, and Spotify gives them just that. Apple wants to get into the streaming and original content market. But, in order to be successful in that market, Apple needs content. Right now, the company doesn’t have any. But, Disney (NYSE:DIS) has a bunch of it, and all those content assets are arguably very undervalued today. Disney is a global media company with a brand name that is second to none. The company owns perhaps the most valuable content assets in the world, and between Star Wars, Marvel and Pixar movies, the company dominates the box office every year. The problem with Disney is that, as the world has pivoted to streaming, the company has been slow to catch on, and post box-office content distribution hasn’t kept up with the times. Apple is unparalleled in terms of its digital reach to the consumer. Between iPhones, iPads, Macs and Apple Watches, most U.S. and global consumers have some digital connection point with Apple. Thus, it should be easy for Apple to push a streaming service. But, AAPL needs the content. Disney has the content, and for only $170 billion (that includes the highly lucrative parks and box office businesses). Overall, Disney is an attractive acquisition target for Apple because, together, the two companies could create a very good streaming service that is rich with content and very easy to access. A lot of investors and analysts are saying that Apple’s last truly revolutionary product was the iPhone, and that here hasn’t been a breakthrough product ever since. Now, with the iPhone growth cycle on its last legs, those same analysts and investors are saying that Apple desperately needs to find that next breakthrough product before time runs out. 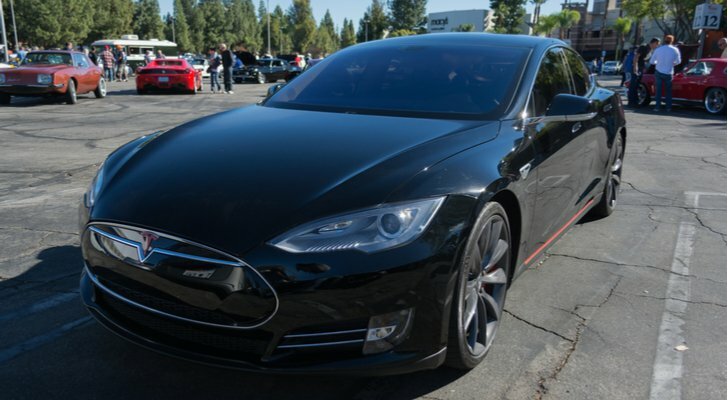 Let’s say hello to Tesla (NASDAQ:TSLA). This is a breakthrough company with not just one, but a portfolio of breakthrough products. That portfolio today includes the Model S, Model X and Model 3. Down the road, it will include many more Tesla vehicles, all of which share the same core electric powered characteristic. The benefits to Apple of such an acquisition would be enormous. Apple has been reportedly working on a car for a long time now, but this project hasn’t materialized anything substantial to date. Acquiring Tesla would give Apple broad exposure to the auto market. Plus, Apple could easily incorporate and integrate its numerous consumer-facing hardware and software products more seamlessly into Tesla vehicles. The benefits therein to both Tesla’s auto business and Apple’s services business would be huge. Overall, Apple should buy Tesla because Apple needs a breakthrough hardware product to replace the iPhone, and Tesla gives them a portfolio of breakthrough hardware products while also providing synergies with the services business. One of the markets in which Apple has a small presence today is e-commerce. But, Apple has all the resources to make a big play in the e-commerce market. If AAPL does that, a natural first step would be the acquisition of Shopify (NYSE:SHOP). Shopify provides e-commerce solutions for retailers of all shapes and sizes. Essentially, the company helps anyone and everyone create an e-commerce business. This is a big growth market because: 1) e-commerce is only growing in adoption, and 2) as e-commerce grows in popularity, more retailers will shift toward digital, and the e-commerce market will become increasingly decentralized and less consolidated. As such, over the next several years, I predict a majority of e-commerce dollar volume will flow through Shopify-powered stores. Thus, Shopify has all the e-commerce merchants and transactions. Apple creates a majority of the hardware products that enable those transactions. A marriage of these two companies would make perfect sense. Apple would control the whole e-commerce process, and could adapt the iOS ecosystem so that it works seamlessly with Shopify-powered stores, thereby ushering in an era of truly friction-less e-commerce. Overall, if Apple is looking to make a play in the red-hot e-commerce market, a natural first step would be to acquire Shopify, a company that would give Apple access to a large volume of e-commerce merchants and transactions. Going back to the “Apple needs a breakthrough hardware product” theme, a less expensive way to accomplish this than buying Tesla, is to buy iRobot (NASDAQ:IRBT). iRobot is a $2 billion company that is known for its robotic vacuum cleaners, Roomba. Roomba has been a huge success for iRobot as the robotic vacuum market has gradually gained traction over the past several years, and this has powered big gains in revenues, profits and the stock. But, Apple isn’t interested in a robotic vacuum cleaner. That’s too small of a product to move the needle. But, Apple should be interested in the entire consumer robotics space. 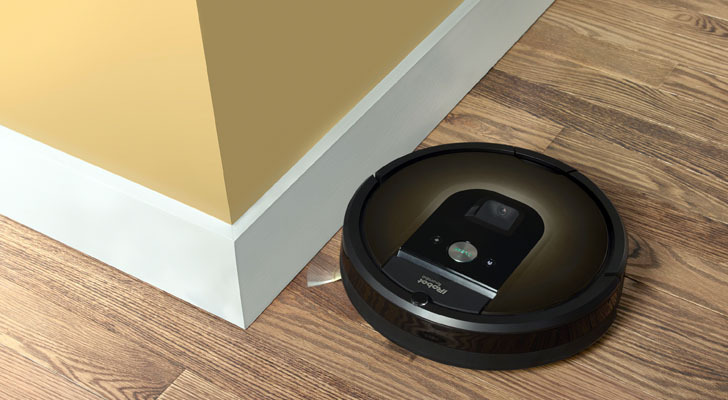 For iRobot, robotic vacuum cleaners are just the tip of the iceberg. Over the next several years, you will see robotic lawnmowers, robotic window cleaners, robotic car washers, robotic chefs, so and so forth. In sum, all these consumer robotics products provide a huge long-term opportunity. If Apple were to couple its resources and experience with iRobot’s leadership position in this market, the two could create an immensely valuable consumer robotics company with multiple breakthrough automation products that become household norms over the next several years. Overall, iRobot is an attractive acquisition target for Apple because, for just $2 billion, Apple could gain entry into what could be a very large consumer robotics market that is still in the early stages of hockey stick growth. The last entry on this list may surprise people. 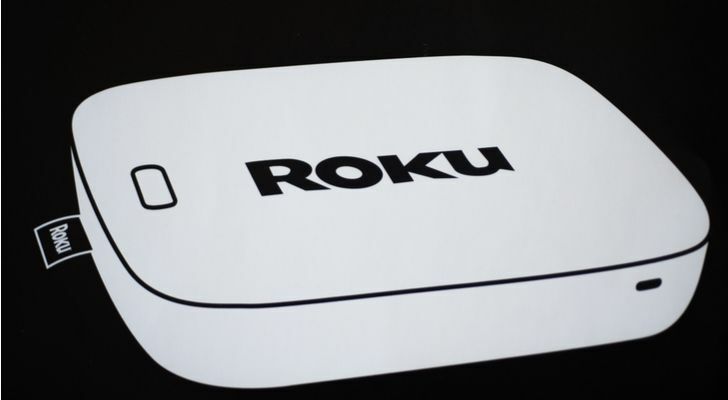 After all, Roku (NASDAQ:ROKU) and Apple are essentially competitors in the streaming device market. But, the synergies of an acquisition far outweigh the costs. Despite Apple’s best attempts in the streaming device market, the lion’s share of this market still belongs to Roku. The company controls roughly 40% of the streaming device market, and 25% of the smart TV market. Thus, Apple trying to beat Roku in this market, while possible, is an uphill battle. Instead, Apple should just buy Roku. AAPL could absorb the entire streaming player and platform businesses into its own ecosystem, and put other competitors in this market, like Amazon (NASDAQ:AMZN) and Alphabet (NASDAQ:GOOG, NASDAQ:GOOGL), at a huge disadvantage. Buying Roku would also be pretty cheap (sub-$5 billion market cap), and it would give Apple wider reach to push a potential streaming service down the road. Overall, as opposed to trying to squash Roku, Apple should just buy them, and create a streaming platform business that is unrivaled in terms of reach and scale. As of this writing, Luke Lango was long AAPL, NFLX, DIS, TSLA, SHOP, ROKU, AMZN and GOOG. 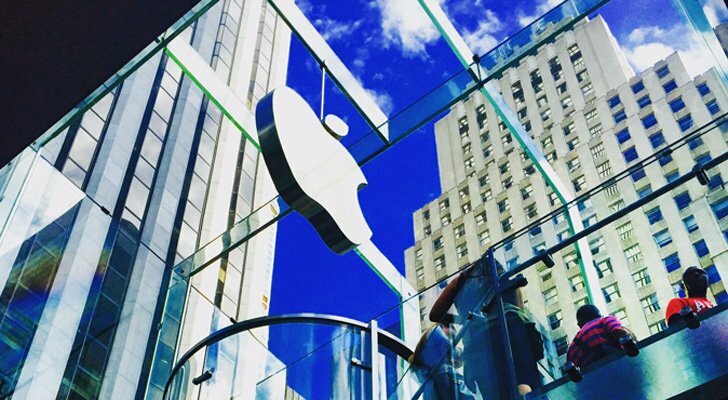 Article printed from InvestorPlace Media, https://investorplace.com/2019/01/companies-apple-should-consider-buying/.